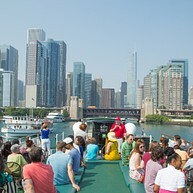 It’s one thing to gaze at Chicago’s famed skyline, and another altogether to view it on Chicago, Illinois’ popular architecture tour, the Chicago Architecture Foundation River Cruise aboard Chicago’s First Lady Cruises. See the city’s iconic structures from the perspective of the Chicago River, where the skyline unfolds before you as you learn about each building’s architectural features and place in local history. Visit the Galapagos, walk through a hall of glittering gems, step inside an earth lodge, or encounter the elaborate masks of the Pacific Islands: There’s so much to see and do at The Field Museum, a world-class natural history museum in the vibrant city of Chicago, Illinois. 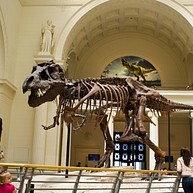 From temporary exhibits for traveling shows to an extensive collection of artifacts, The Field Museum showcases a variety of habitats, cultures, plants and animals throughout its hallowed halls. 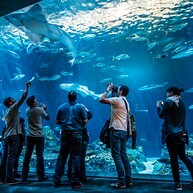 It is at Chicago’s Shedd Aquarium, where you can stroll among the winding waters of the Amazon River, the legendary coral reefs of the Caribbean, the coastal beauty of the Pacific Northwest and the icy majesty of the Arctic – all in one visit. Located on the shores of Lake Michigan in the heart of downtown Chicago, Shedd Aquarium will transport you to aquatic wonders from all corners of the globe. With museums, theaters, parks, gardens and the iconic Centennial Wheel, it’s a perfect complement to the rich history and vibrant energy of Chicago. 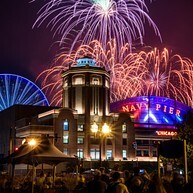 Navy Pier welcomes new events and features to its beloved location on the Lake Michigan waterfront, reflecting a dynamic city that continues to reinvent itself. There’s something for everyone here, whether you like to shop, ride, sightsee, cruise or stroll. This 1909 creation is one of Frank Lloyd Wright’s most famous houses in the prairie style. It was designated by Wright himself as “the cornerstone of modern architecture”. Although still commonly referred to as Sears Tower, North America's tallest building was renamed Willis Tower in 2009 after Willis Group Holdings, a global insurance broker whose Midwest offices are housed there. In addition to being North America's tallest building, it is the third-tallest building in the entire world. It was constructed in 1974, designed by architect Bruce Graham. The building's Skydeck is a great place to admire a stunning view. Cloud Gate n Millennium Park is also commonly referred to as "The Bean" because of its bean-like shape. It is one of the largest sculptures of its kind in the world, made from stainless steel plates. The sculpture's surface reflects the city's skyline and people around like a giant mirror. 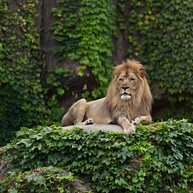 Lincoln Park Zoo is free, open every day of the year and offers something for everyone. Here you can take a stroll through Chicago’s most visited gardens and meet animals from around the world. There is also an on-site cafe with pleasant refreshments. 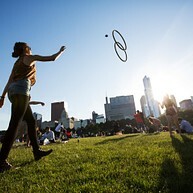 Grant Park is often referred to as "Chicago’s front yard”, and is popular park among both tourists and locals. It is here that you will find some of the city's most popular attractions, including Buckingham Fountain, Millenium Park and the Art Institute of Chicago. This is also a place where many events take place, like the Chicago Blues Festival and The Taste of Chicago – the largest food festival in the world. 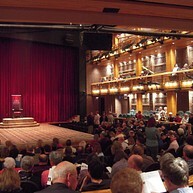 Chicago Shakespeare Theater is beautifully located on the Navy Pier, and offers an amazing view over the city. It is a small theater full of energy and drama that puts on shows with exceptionally talented actors. 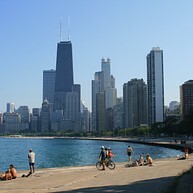 Walking along the lake shore is just one of those things you should not miss when visiting Chicago. Lake Michigan is huge and feels more like a sea (larger in area than Denmark and Croatia). In the summer, people take out boats onto the lake, and go biking, walking or just enjoying the sun along its shore, which creates a beach-like atmosphere. There are lots of activities around, such as sailing, water taxi, early dinner cruises and night cruises. The Museum of Science and Industry is, at over 37,000 square meters, the largest science museum in the Western Hemisphere, with more than five hectares of exhibits. MSI is a vibrant institution with tons of dynamic displays, interactive exhibits and tours for everyone in your group, both kids and adults. 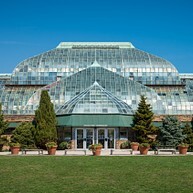 Step inside and enjoy amazing flowers from all around the world at the Lincoln Park Conservatory. Here you will find tropical palms, exotic plants and flowers. No matter the time of the year, this park conservatory is always green and lush. Admission is free. 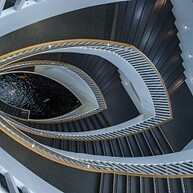 Free guided tours and audio tours are available to help visitors fully experience their tour of the largest contemporary art museums in the U.S., which also features special programs in a 300-seat theater and a cafe owned by Wolfgang Puck. This historic Chicago landmark has a story to tell, and is still a functioning theater where you can watch ballet, concerts and drama performances. The Auditorium Building was designed by Louis Sullivan and Dankmar Adler and completed in 1889. 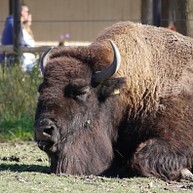 Operated by the Chicago Zoological Society, the Brookfield Zoo offers several fun and educational activities for the whole family.